Social Encounters is an approach to social psychology that is not what one might expect to find in textbooks on this subject. 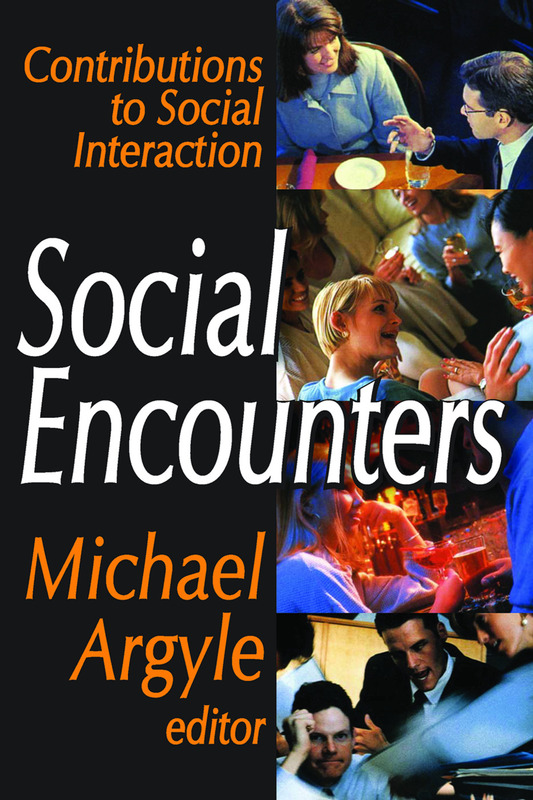 As a companion to Social Interaction advocated by Michael Argyle and his associates, it has been used by a rapidly growing number of researchers in social psychology, and related aspects of ethology, anthropology, and linguistics. The two key ideas are to study the detailed processes of social interaction at the level of the elements of interaction, and to relate social behavior to its biological basis and cultural setting.This work collects excellent representative studies of different aspects of social interaction; as such they are important in their own right. Within the general approach described, a range of different academic orientations are included. All selections report empirical findings, and most of them introduce conceptual notions as well. One achievement of the volume has been to establish the basic elements of which social interaction consists; current research is concerned with finding out precisely how these elements function.The contributors agree that the field consists of various signals: verbal and non-verbal, tactile, visible and audible, bodily contact, proximity, orientation, bodily posture, physical appearance, facial expression, movements of head and hands, direction of gaze, timing of speech, emotional tone of speech, speech errors, type of utterance and linguistic structure of utterance. These elements can be further analyzed and divided into categories or dimensions; each plays a distinctive role in social interaction. Social behavior is studied in natural settings or replicas of natural settings, for which there are cultural rules familiar to the subjects. This is a pioneering statement in sociobiology.